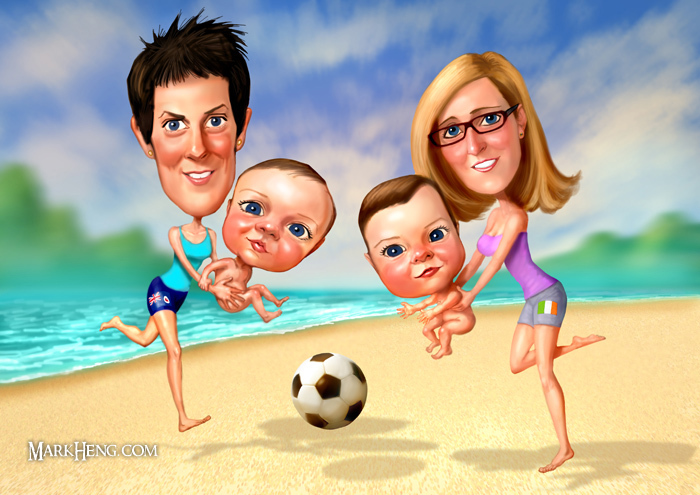 Portrait caricatures make great gifts and are sure to raise a smile! These would be created from photos which you can email me. Gift Portraits- Painted using digital technology! Also: Logos, Invitations, Posters, Signing Boards... And anything else you can imagine! 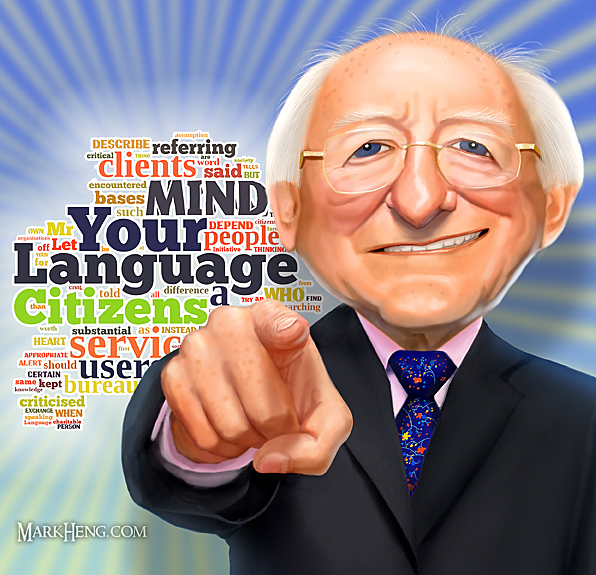 Up to 3 additional people: Just €50 each! Great for families. 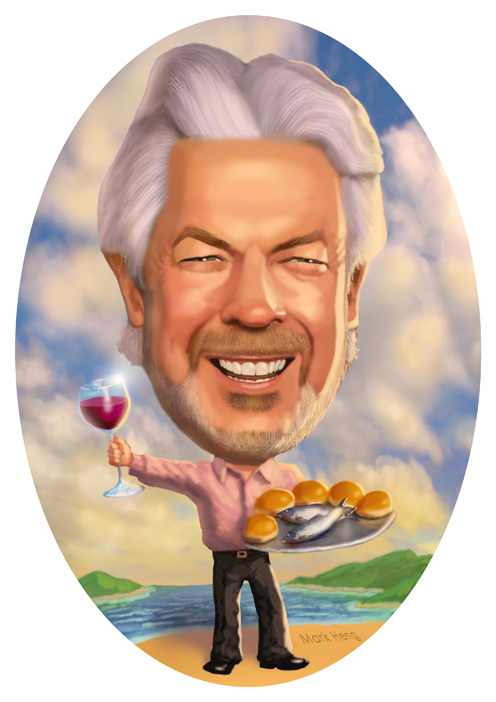 From the time I receive your pics to when you receive your caricature is about two weeks. 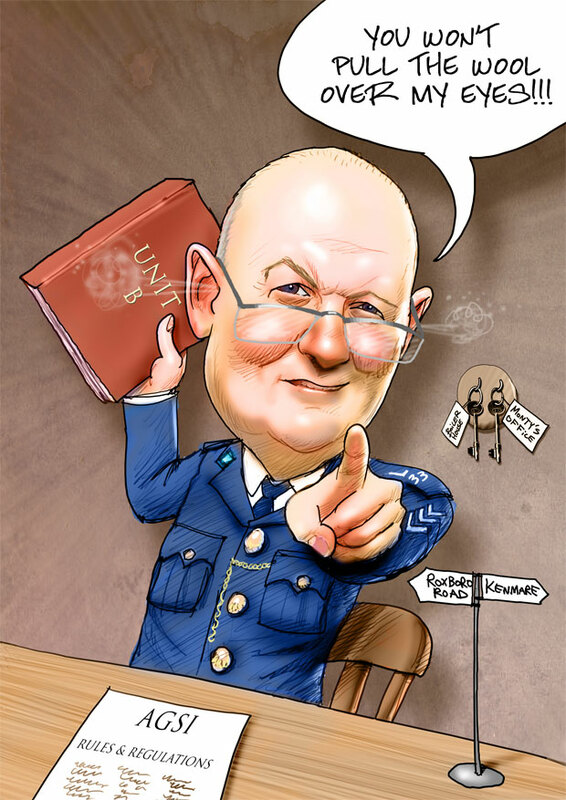 If you need your caricature mailed, it's €8 for an A3 print and €15 for a signing board. A deposit of €100 secures your order. You can pay by either check, bank order, or online bank transfer (recommended). *Note: I no longer offer framing as I can't guarantee safe arrival of glass in the mail. There are many stores offering home accessories including quality premade frames- Choose the one that best fits your sense of style! Interested in another technique such as watercolor, acrylics, or oils? Need a picture with more people? Email Me to discuss your project and I'm sure I can come up with a package that will make you happy and fit your budget! 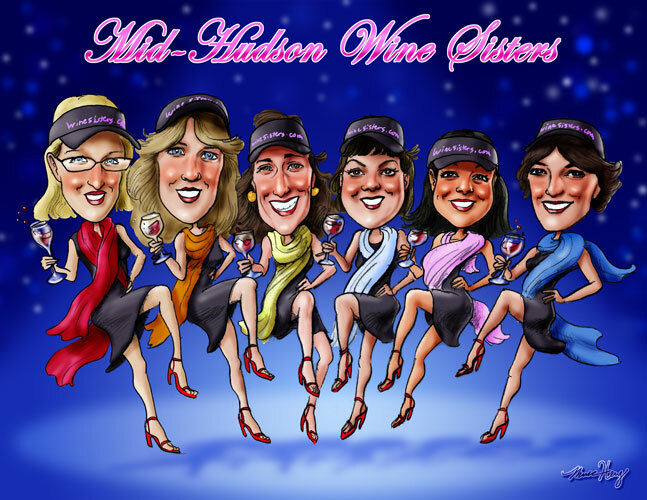 Fancy live caricature entertainment for your next party or event? Click HERE! 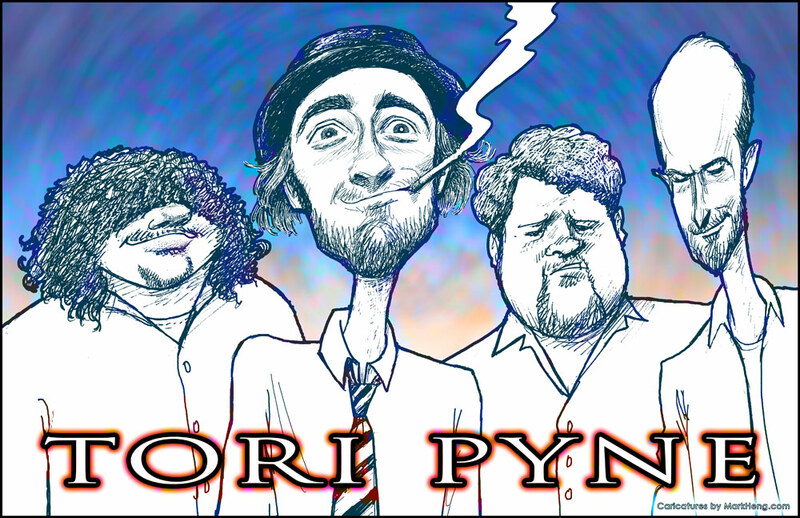 And find more of my caricatures on Facebook! 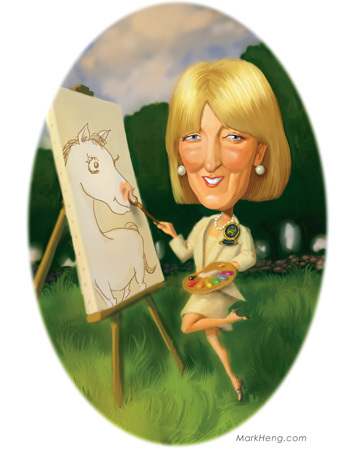 What do you give someone who loves painting and horses? Logo for the Dudley Golf Range! 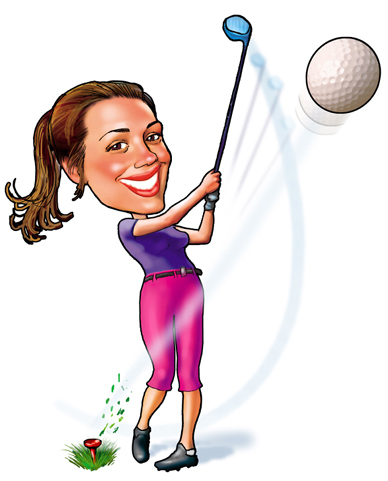 That's the owner showing off her swing! Rollover with your mouse to see the actual sign. 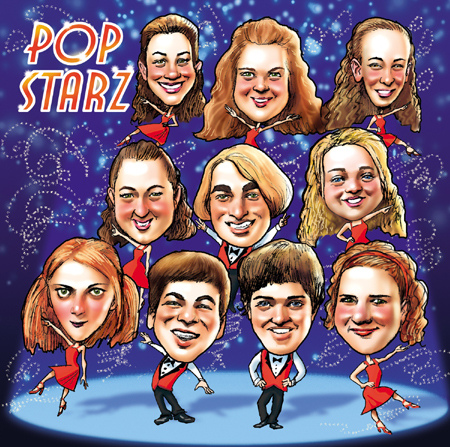 For a school choir's Christmas cd. 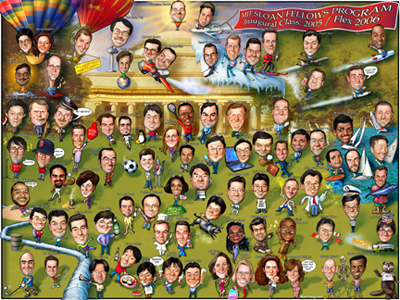 This was drawn for the MIT Sloan Fellows and was printed as a large poster. Everyone got a copy! Great idea for a sports team, school class, or the cast of a play! 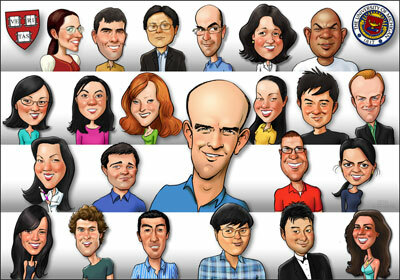 85 caricatures in one picture! Whew! Click on it for a large view! This poster was drawn for the Mooney Group of Harvard University. You can guess who the boss is! Click on it for a large view! 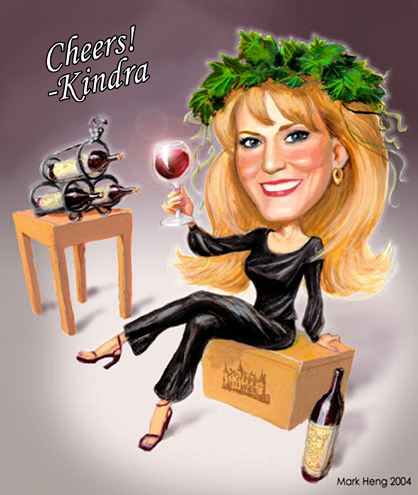 A glamour caricature for Wine Sisters USA! 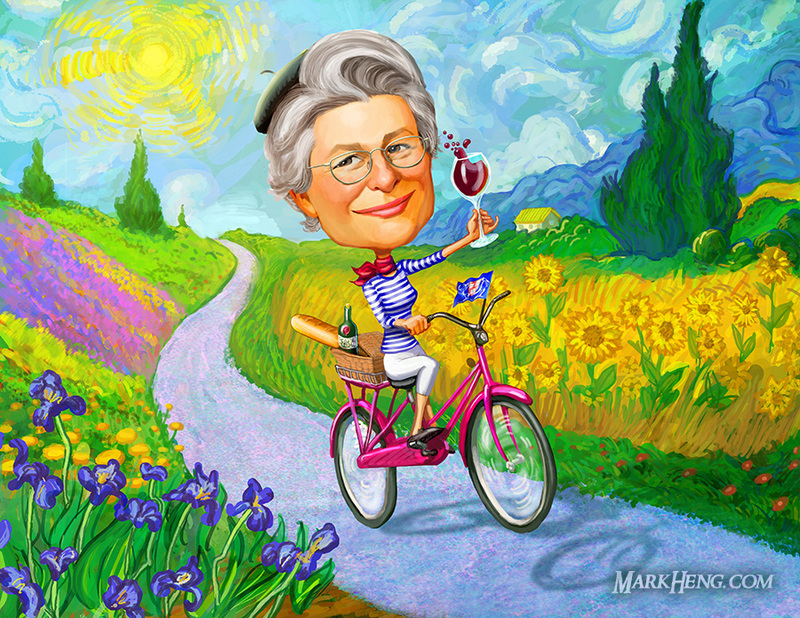 Commisioned by the owner as a gift for her Mid Hudson Wine Sisters. 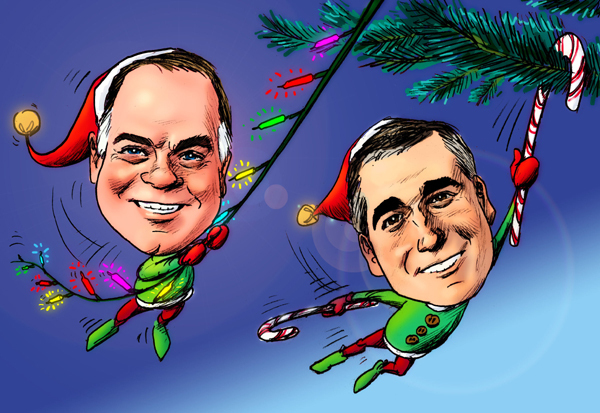 Who wants to see the company CEO's as elves this Christmas? Mark, I'm just back at my desk after a glorious 6 days in the south of France. Talk about civilised. It was really wonderful. The actual birthday was on Sunday, 7th - the end of three long days partying. 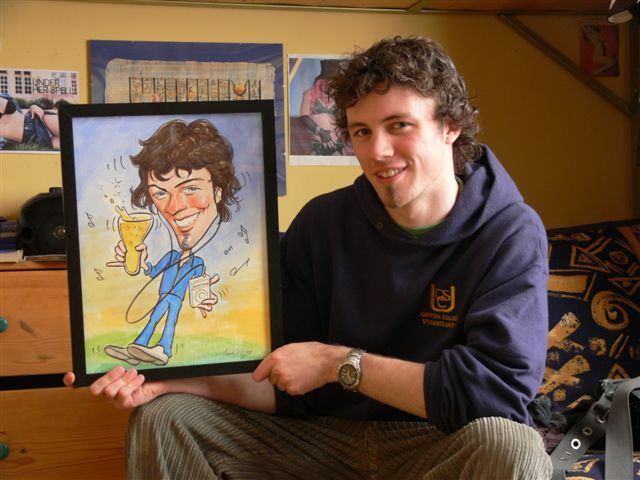 Frank was presented with his caricature on the day and he was really delighted with it. Everyone who wasn't awake yet was woken up to take a look at it. I suspect a version of it will appear on the walls on Frank's pub in Prague. He was very interested to know all about you, where you were based, and the process that was involved in coming up with such a good likeness. If you need a business contact in Prague, I'm sure he would be willing to help. Thank you so much for obliging us at such short notice, and for your endless patience. 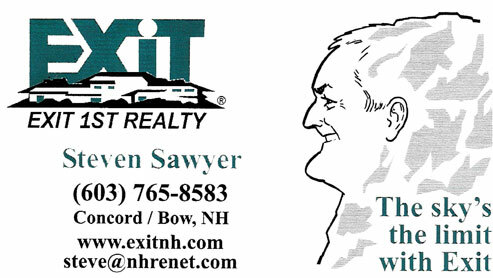 We will be happy to recommend you and keep you in mind for any further bright ideas we may have. You were a bit hit on Saturday night! The picture went down really well. I surprised Paul with it during the night & he absolutely loves it! It got passed around & everyone had a close-up & a good laugh. I have it in a 1" Blackwood frame, no mount, & it looks great. The Old Man of the Mountain! 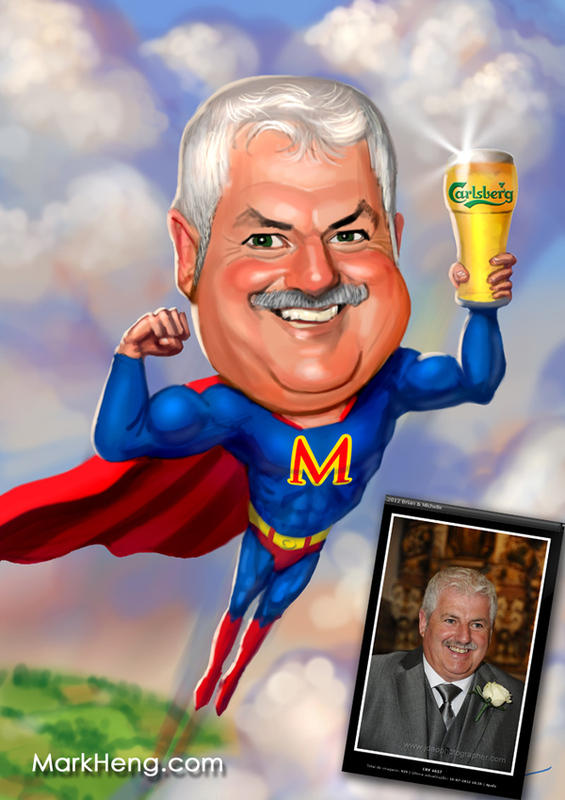 Caricatures make great business cards! Yes the picture arrived thanks very much & thankfully has made it all the way to Bermuda intact! Kilian (and all his friends!) loved it. Attached is a picture of him holding it & you can really see the likeness of the cheeky grin!!! Thanks a mill & a great job. The work represented here is a sample and is not intended for duplication or print without the expressed permission of Mark Heng.